Createspace Independent Publishing Platform, 9781519189394, 426pp. The world changed on a Tuesday. When a spaceship landed in an open field in the quiet mill town of Sorrow Falls, Massachusetts, everyone realized humankind was not alone in the universe. With that realization, everyone freaked out for a little while. Or, almost everyone. The residents of Sorrow Falls took the news pretty well. This could have been due to a certain local quality of unflappability, or it could have been that in three years, the ship did exactly nothing other than sit quietly in that field, and nobody understood the full extent of this nothing the ship was doing better than the people who lived right next door. Sixteen-year old Annie Collins is one of the ship's closest neighbors. Once upon a time she took every last theory about the ship seriously, whether it was advanced by an adult, or by a peer. Surely one of the theories would be proven true eventually-if not several of them-the very minute the ship decided to do something. Annie is starting to think this will never happen. One late August morning, a little over three years since the ship landed, Edgar Somerville arrived in town. Ed's a government operative posing as a journalist, which is obvious to Annie-and pretty much everyone else he meets-almost immediately. He has a lot of questions that need answers, because he thinks everyone is wrong: the ship is doing something, and he needs Annie's help to figure out what that is. Annie is a good choice for tour guide. She already knows everyone in town and when Ed's theory is proven correct-something is apocalyptically wrong in Sorrow Falls-she's a pretty good person to have around. As a matter of fact, Annie Collins might be the most important person on the planet. She just doesn't know it. 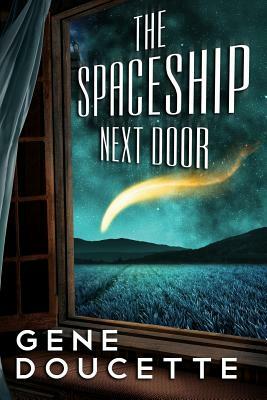 The Spaceship Next Door is the latest novel from Gene Doucette, best-selling author of The Immortal Trilogy, Fixer, The Immortal Chronicles, and Immortal Stories: Eve. Gene Doucette is the best-selling author of The Immortal Novel Series, Fixer, The Immortal Chronicles, and more.